Suffolk House Antiques | An early oak angel and a Charles I boarded chest. AN EARLY OAK ANGEL AND A CHARLES I BOARDED CHEST. 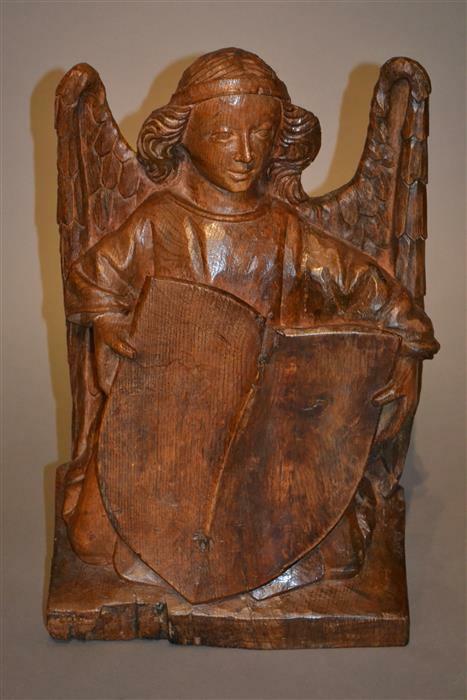 A charming oak winged angel, probably French circa 1500, shown kneeling and holding a shield. the left side of the shield and wing have been restored. 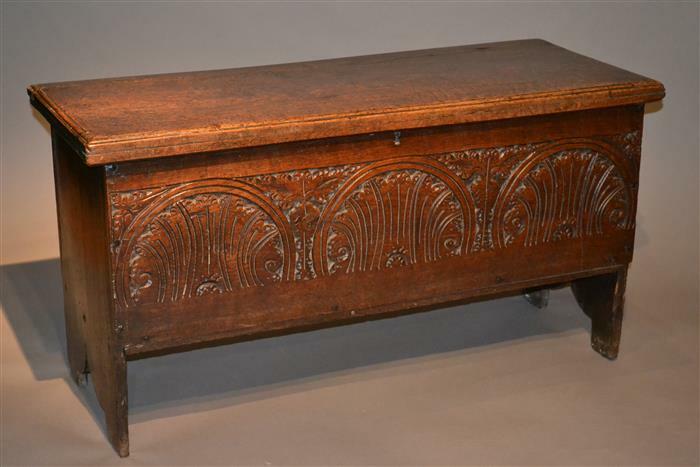 A Charles |I oak boarded chest with lunette carved front, gothic arched feet to the sides and excellent untouched condition. Further details of both pieces can be found under the relevant sections.